This week&apos;s episode of Impact Wrestling will air from tape as TNA filmed the show last month from the Manhattan Center in New York City. We have taping results available here and here. IMPACT Preview: Team 3D Reunites, Jeff Invites Matt Hardy, 6-Man NYC Streetfight, Roode vs MVP, Gail vs Taryn, The Great Muta and MUCH MORE! 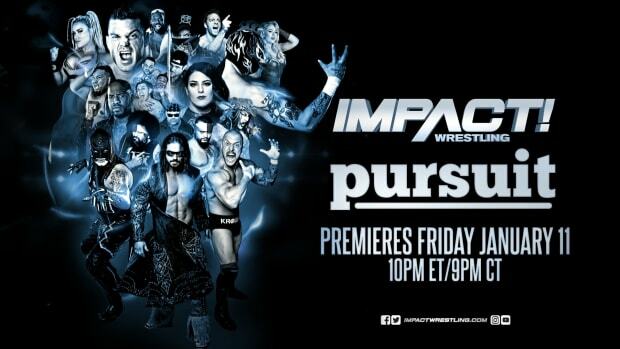 NASHVILLE, Tenn. (July 23, 2014) The main event of this week’s IMPACT WRESTLING broadcast will be a 6-Man New York City Street Fight, featuring Bully Ray, Devon and Tommy Dreamer teaming up to take on EC3, Rhino and Rockstar Spud. After Devon’s shocking return last week, this will mark the first time in years that Team 3D has been reunited. No doubt, they’ll have tables in tow! Another major return is set for IMPACT this Thursday as Jeff Hardy has invited his brother Matt to NYC. As announced by Kurt Angle at the end of last week’s broadcast, the excuses are over for MVP. Bobby Roode will finally get his 1-on-1 shot against the man responsible for his 7-week suspension in a Falls Count Anywhere Match with MVP. The X-Division Champion Austin Aries has a big decision to make this Thursday on IMPACT. He has the option to continue as X-Division Champion, or he can use Option C and hand the title over in order to challenge Lashley for the TNA World Title at Destination X (7/31). The legendary Japanese star The Great Muta will make a rare U.S. appearance and for the first time compete in New York City. Plus, Gail Kim defends the TNA Knockouts Championship against Taryn Terrell. These two have been part of some of the most memorable Knockouts matches in TNA history, including the buzzed about ladder match. Make plans to join our Impact Open Thread at 8:30 PM EDT on Thursday for streaming live results and your discussion right here at WrestlingNewsWorld.com.